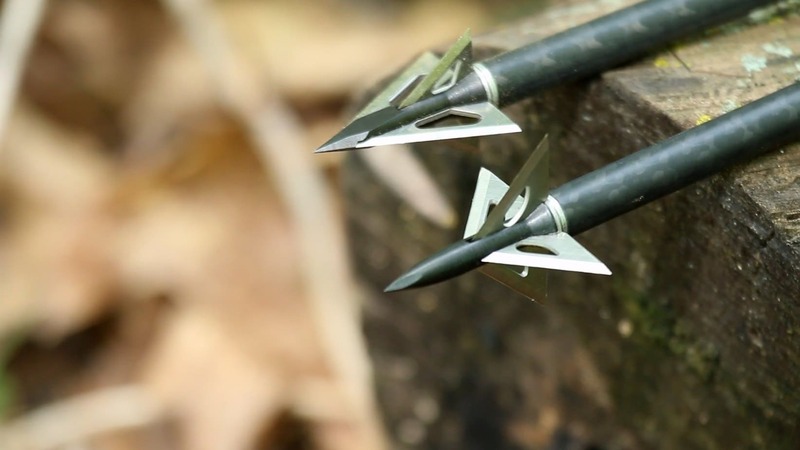 Bear Archery Cruzer vs. Diamond Infinite Edge: which is the best bow for your kids? If you’re looking for a bow for beginners or your kids, Bear Archery Cruzer vs Diamon Infinite Edge are the most obvious options. But which should I choose? It’s difficult to say. Some people choose which is cheaper, while others select based on their own preference. As a hunter, I know the importance of a good investment in bowhunting gear, so I decide to write this guide. Through it, you can know what these bows are excel and what they are not. And through it, you may know wich bow you should buy for your beloved kids. The Cruzer or the Infinite Edge? Before going to more detailed description of the two bows, we should take an overall look of them. The Infinite Edge is the one received more positive feedbacks from customers. It is reported to be smooth and quiet, provides a comfortable experience for beginners. It includes many features which ease the process of shooting and practicing for a long time. and for the price, the Infinite Edge also has an advantage over the Cruzer. It’s cheaper while providing the same quality. 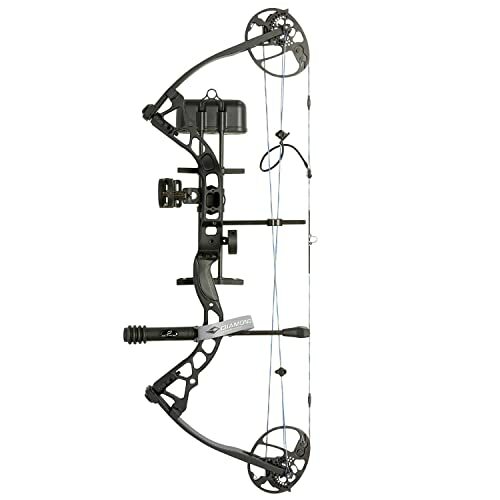 But in exchange for the extra cost, the Bear Archery Cruzer has something to offer. It comes with many options for pre-set draw length. It says no to complex and cumbersome installation. 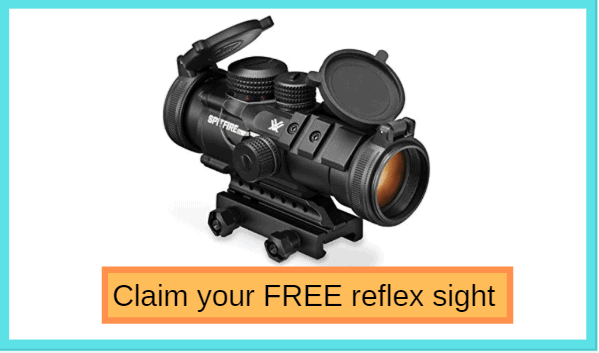 Many of us love the convenient feeling of taking the gear out of the box and begin hunting right away. Its design is more compact, and the draw length is adjustable, so it fits shooters of any ages. The bow is also has something that a kid will love: the looks. There are lots of options for colors and camo patterns, which help user personalize and mark their gear. They are the most prominent points of the two bows. But eventually, you can’t depend on those little differences to decide anything. You need to consider more aspects to secure your investment. At the first glance, you may recognize that the Cruzer is a bit small. This compact design suits shorter users like kids or young adults. Along with small size, the bow is also light in weight. It’s only around 3.6 pounds for a completely installed bow. Beginners practice a lot, so they are easy to get muscle fatigue. So, light weight gears can keep users healthy and safe. s expected for a bow for kids, the Cruzer is smooth and quiet. Beginners are easy to make errors when shooting, even a tiny shock or echo can lead to bad results. With Cruzer, string suppressor and stabilizer that are applied to the riser reduce much of the noise and vibration. Your kids will feel no hump when they’re drawing. Quad and reloaded limbs also help increase consistency for the bow. Moreover, designated pocket limbs hold the string tight to prevent any after-shot vibration. Inexperienced users are usually bad at maintenance. They may not know how to prevent the gears from collisions and physical shocks. Also, they attempt to use the Cruzer for a long time and high frequency. So, the Cruzer appears to solve these problems with its durable limbs and riser. They are made up of refined aluminum, which helps them last for years while keeping the quality. Besides high price than the Infinite Edge and an amount of other bows in the market, the Bear Archery Cruzer has some other drawbacks. The maximum of 310fps speed is good for a beginner, but become a barrier which keeps it away from pro’s hands. This is a rather slow speed for real hunting or shooting tournament. The small size is a little bit uncomfortable and hard to use. 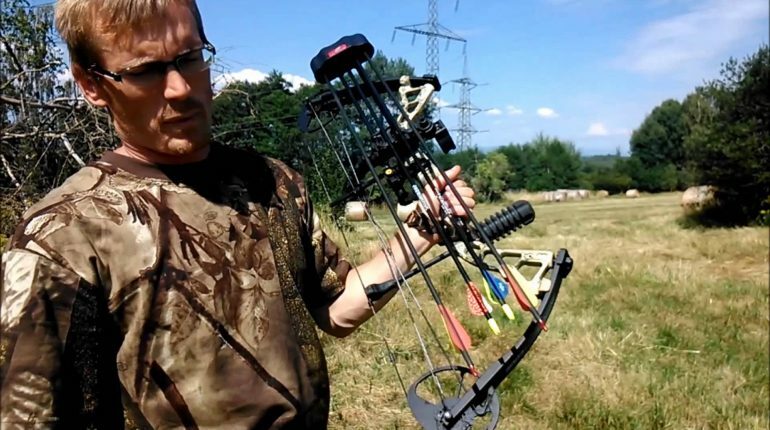 The short brace makes the bow less forgiving, which increase the chances of missing the target. Diamond Infinite Edge looks more potential than the Cruzer as it’s cost lower while providing the same quality. But it has many other benefits as well as negativities. The most prominent feature of the Edge is its starter-friend eccentric system. It comprises of two cams working in tandem to increase stability and accuracy in shooting. Although it has a low speed of 310 fps, it’s still suitable for beginners who don’t really hunt but practice. The quick and easy draw cycle offers a comfortable feeling and helps users have accurate shots. Unlike the Cruzer, the Edge has a smoother draw cycle as its valley is wider and more forgiving. This means your kids will feel less pressure and muscles stress when using the bow for too long. The dampening system of the Edge is also amazing. String suppression, noise, and vibration dampeners work effectively so that you can’t hear even a small sound. 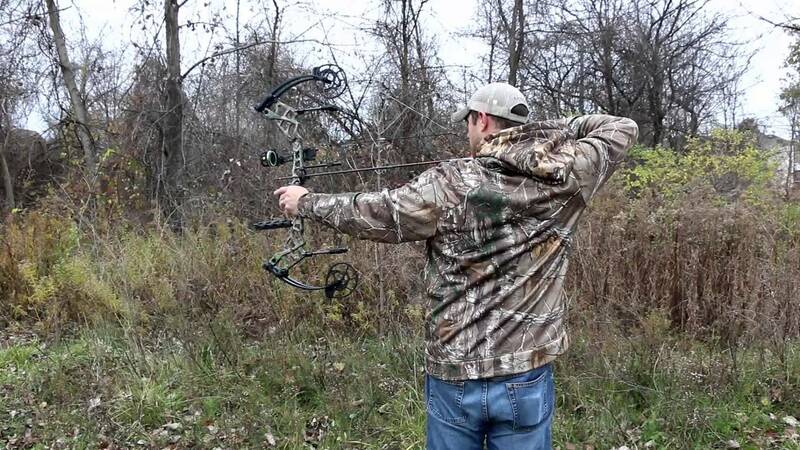 A quiet bow keep consistency in your shots, guarantee that you will shoot where you aim. The Edge’s limbs is another thing to applaud. They are made of unbreakable aluminum that can withstand the pressure of high usage. Pivoting limb pockets hold the string tight to the limbs, preventing any breaks. This also reduces vibration and increase accuracy. Like its competitor, the Infinite Edge’s draw weight and length are adjustable. You are able to set the weight between 5 to 70 lbs, and choose a perfect length between 13″ to 30″. If your kids are under 10, you can use the lowest setting available. And then when they turn 15, you can increase the draw weight and length to match their current competence. And you can repeat this process as the time flows. You won’t need to buy another new bow until your kids actually need a stronger one to begin the real hunt. The Diamond Infinite Edge seems to be perfect for beginners and kids. There are just a few flaws that people complain about. The bow has no options for pre-set draw length, requires the user to manually adjust after buying. It is quite inconvenient when you want to quickly start hunting. The Edge’s grip is reported to be uncomfortable. It because the grip is square-shaped and cannot fit the user’s hands. If you search for the term “Bear Archery Cruzer vs. Diamond Infinite Edge”, you may never find the satisfying answers. They have their own pros and cons. The writer personally loves the Edge, but it may not true for you. You have to find the answer yourself. I’m not saying that you should be both bows for experimenting. I’m saying that you should know what you’re looking for when buying a bow for your kids, then see which one of the two meets your needs. I hope that the guide can provide enough information for you to have a right shopping decision.